A thorough mental health diagnostic evaluation should be sought if the following symptoms are persisting and interfering with your ability to perform normal routines, function in work or school, or engage in normal social activities and relationships. 1) a persistent fear of one or more social or performance situations in which a person is exposed to possible scrutiny of others and the person fears acting in a way that will embarrass or humiliate them, 2) exposure to the feared situation provokes situational anxiety and possible panic attack, 3) the person recognizes the fear is excessive or unreasonable, 4) the feared situations are avoided or endured with intense anxiety. Social anxiety can be limited to one situation or can be broad and occur in most social situations. Physical symptoms often accompany social anxiety and can include: blushing, sweats, shakes, nausea, dry mouth, dizziness, or stammering speech. Depression and other anxiety disorders are common with social anxiety as is substance abuse as people attempt to self-medicate. There are two primary theories behind the origin of social anxiety. First, some believe that environmental exposure to observing other people’s behavior and consequences sensitizes people such that they fear similar results. 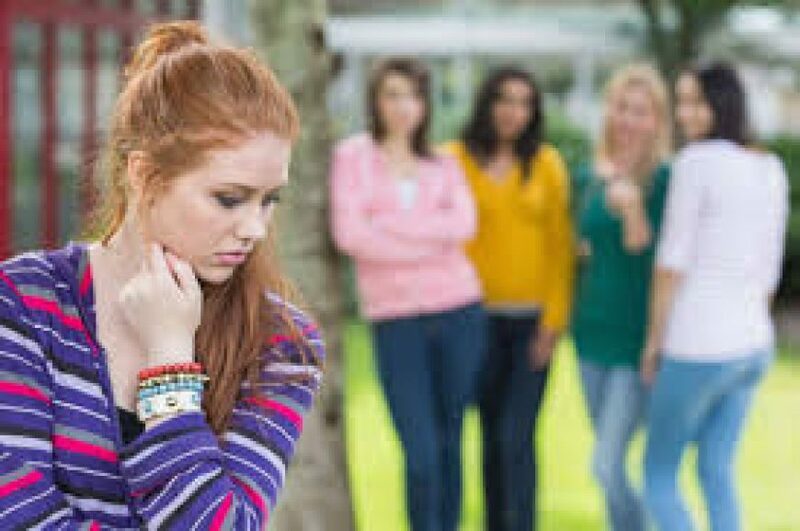 Secondly, some develop social anxiety as the result of early negative social experiences such as bullying, experiencing an embarrassing social event, or being teased about some difference. Other causes implicated have included a minor role in genetics, chemical imbalances, or an overactive amygdala. Social Anxiety Disorder is typically treated with medication, psychotherapy, or a combination of both. The best course of treatment for each person is something that should be discussed with your physician or mental health therapist. Behavioral Therapy and Cognitive Therapy have demonstrated through research to be the most effective in treating social anxiety disorders. Behavioral therapy targets specific behaviors that often perpetuate and reinforce the anxieties. Relaxation and breathing techniques are often used in conjunction with other methods to change behavioral patterns. Cognitive therapy teaches people how to identify and change negative thoughts and distortions in thinking that drive many of the anxiety provoking thoughts. Medicinal treatments include: Anti-depressants, Beta Blockers, or Benzodiazepines. Benzodiazepines are often given in limited circumstances for short term relief of panic attacks and are used cautiously because they are habit forming. If you believe you have social anxiety, consider getting assessed by your physician or a mental health specialist to assist in making a diagnosis and figure out the best course of treatment. In addition, you can read about social anxiety and its treatment. Learning stress management, meditation, find activities that help you relax, getting good sleep, and utilizing social supports can help alleviate some symptoms. Caffeine, nicotine, certain illicit, and over the counter drugs can aggravate symptoms of anxiety and should be avoided. If you are concerned you might have social anxiety please call us now at 763-416-4167, or request an appointment on our website: WWW.IPC-MN.COM so we can help you determine if you are struggling with social anxiety and what the best course of action is for you. Life is too short to be unhappy. Find the peace of mind you deserve.